Thank you to Our Local Marion Restaurant Owner Who Was Crucial in the Resent Thailand Cave Rescue! 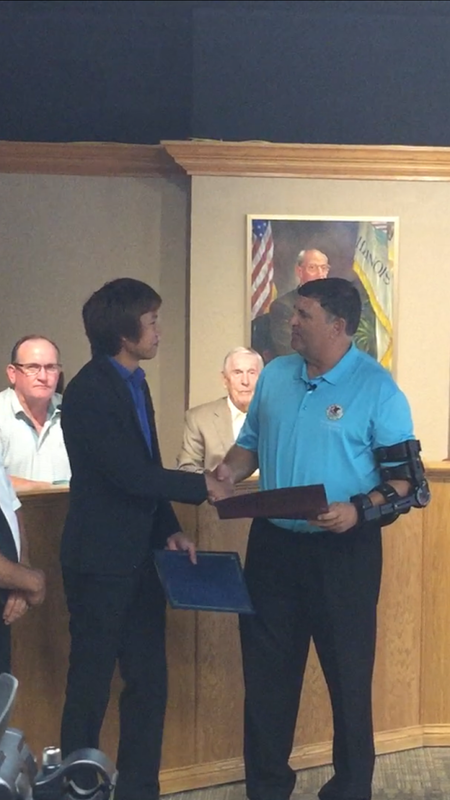 Thank you to Mr. Thanet Natisri, a local Marion restaurant owner, who recently helped save the twelve young soccer players and their coach who were trapped in a remote cave in Thailand! I was honored to help recognize Mr. Natisri along with the mayor of at tonight’s City Council meeting in Marion. While working in Bankok on a groundwater project for the Thai government to help farmers,Mr. Natisri was contacted by the military for his assistance when this incident happened. Mr. Natisri is a self-taught expert on diverting water into underground storage. You can watch part of the presentation here.